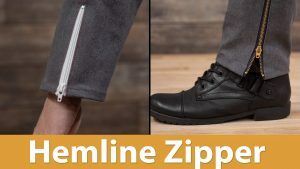 If you're looking to convert your garment patterns to accommodate a zipper at the hemline, then you've come to the right place. The two examples, I've shown here is a zipper on a sleeve and on the leg of pants but you can place them in other areas. 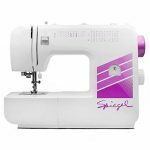 The important part is making sure you have a seam to place the zipper or alter your pattern to create a seam. We start at the beginning so I'll show you how to alter your pattern and then how to sew your zipper into place. It seems complicating but it really isn't. It's such a good style detail to add to your garments and make them look cooler.